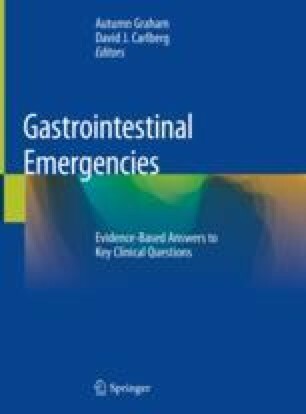 What Is the Optimal Resuscitation of the Patient with a Gastrointestinal Bleed? Hemodynamic resuscitation is a critical component of early management for patients presenting with GI bleeding. Resuscitation includes intravenous crystalloid fluid or blood products. Unstable patients require multiple blood products, and protocols established in trauma literature for massive transfusion can be applied for patients with severe GI bleeds. Weingart S. EMCrit Podcast 5 – Intubating the Critical GI Bleeder. EMCrit Blog. Published on June 21, 2009. Accessed on 10 May 2018. Available at: https://emcrit.org/emcrit/intubating-gi-bleeds/.